"Do you have any stray tufts of Sasquatch hair?" One of the things you can ask Bosco if he has in his store is "stray tufts of Sasquatch hair". 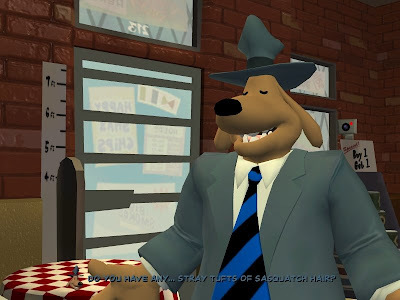 In Sam & Max Hit the Road, the stray tufts of Sasquatch hair were inventory items.